Travel clock with 8 day movement. Product code: 1057 Categories: Sold Items, Sold Watches. What a great looking clock! Made in the late 1920’s, this wonderful travel clock is fitted with an 8 day manual wind Swiss movement which runs great. 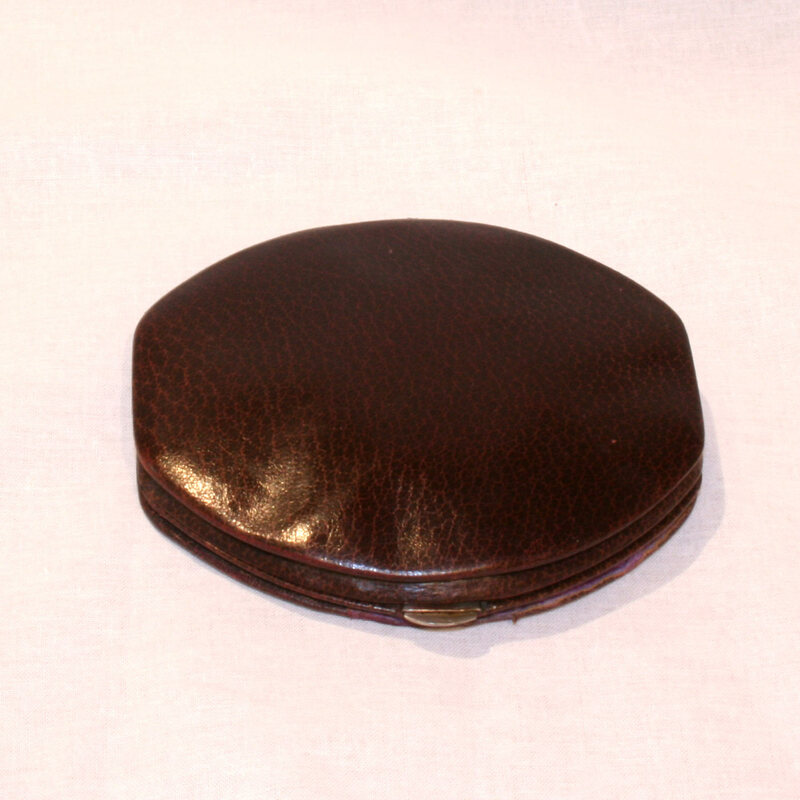 Fitted in a fancy shaped leather case, it measures 12cm across x 11cm from front to back, with the clock dial itself measuring 6.9cm x 5cm. The dial is so easy to read even after all these years, and the numerals themselves have a great late Art Deco style to them. Overall, this is a great travel clock with a style all unto itself, in a great looking case.